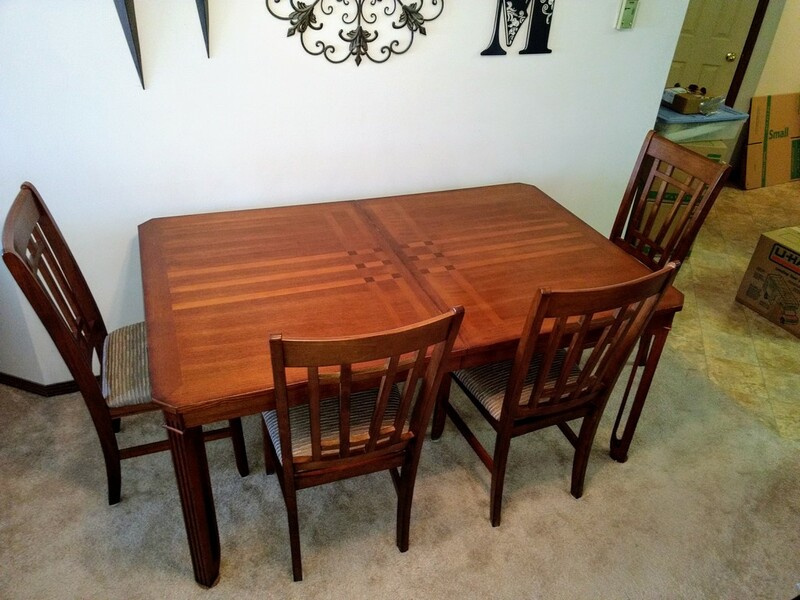 Dining room table (42 inches by 66 inches) and four chairs. Table also includes an 18-inch leaf for expansion. Available for local pick up only.